Radio host Harper Drummond lives for her career. Every day she meets fascinating people doing extraordinary things, but has begun to wonder whether there could be something more for her out there. She’s financially secure, happily married to Samuel and has a great group of friends  what more could she want? It’s only when she interviews one special couple that she starts to think about whether she could make a different kind of contribution. Claire and Jasper Lombard are passionate about their thriving hot air balloon business and know they’re lucky to find such joy in their work and in each other. But while Jasper has accepted that he will never be a father, Claire has found it hard to come to terms with her infertility. She doesn’t want Jasper to regret choosing her over a child in the years to come. Is there a way to give themselves a real chance at being a happy family? Can they find someone who will give them the greatest gift? Or will it come at a greater cost? From interesting and engaging beginnings there was promise in this story. The dual perspectives caught my attention and I was intrigued by the time jumps and seeing how Johns would being these separate lives together. But it is in bringing these two stories together when everything sweetens a bit too much. There is already a sweet romance, sickly sweet at times and a heartfelt story which Johns pushes even further. For a subject this complicated, it sits oddly in your mind that there are no complications, no issues, everyone is lovely and likes each other instantly. As the story settles in and progresses I found it a tad predictable but it brought conflict and drama which had been lacking and a few unexpected surprises. I was curious how it would play out, eager to see if my own theories came into play. Unfortunately I was left disappointed as the second half sank back into the same plain tone it had before. The narrative was banal and there were longwinded conversations that seemed to draw out as characters covered every major theme and issue in full detail. The further on I went I couldn’t escape the feeling that it was too nice, which seems strange to complain about. But it is. Too nice, too perfect. Too many things fall perfectly into place and while I understand it is a heart-warming and emotional story, it doesn’t actually have any engaging emotional complexity beyond the obvious. Even the few twists appear to only cause a mild ripple. For each surprising moment there were two predictable ones, making the balance a strange reading experience. There are a lot of explanations provided through character thoughts and conversations. The process of egg donation and hospital procedures are recounted in full detail, something which isn’t uninteresting, but I felt like it took up too much time to outline every little part when it could easily have been summarised or stated in a sentence not a few paragraphs. As a subject not a lot of people probably know about I can see why John’s included it, but a more refined approach and less info dump might be have been better, even if she did try to weave it into dialogue. The writing itself is repetitive in a few phrases and emotions. Despite the emotional conflictions present, they are rehashed over and over to the point it doesn’t feel like real indecision or emotion. It loses the poignancy when the same things are repeated because we’ve already been told these facts and telling us again, often in the same way with the same phrasing doesn’t reinforce the emotional components, it chip away at your patience. 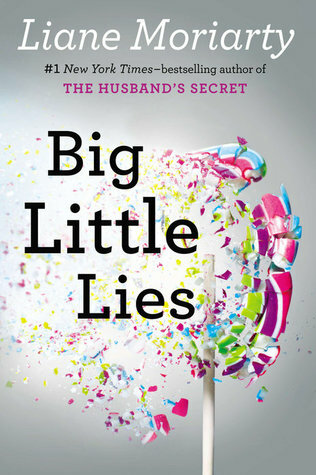 If you are looking for a novel that is full of twists and strong drama this may not be the novel for you. There is an emotional draw-card, one I cannot personally connect to, but that didn’t engage me enough to look past the slow story and the circumstances that made everything fall happily into place. The epilogue was the final nail in the coffin. From the first words I actually groaned and the longer it went on the more picturesque it became. I can see what Johns was trying to do; it just wasn’t the kind of thing I wanted after dealing with the rest of the book. 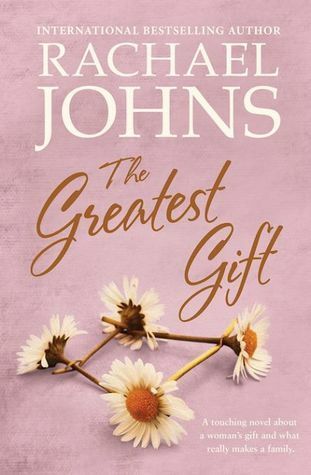 It upholds the clichés (something Johns points out a lot actually in this book so she knows they are there), and concludes this book on the idyllic tone it started with. I hope this book is enjoyable to some people, I hope it is inspirational, comforting, or just interesting. But I’m a little saddened that I didn’t enjoy this as much as I hoped I would. On the wild, lonely coast of Western Australia, two thrillseeking and barely adolescent boys fall into the enigmatic thrall of veteran big-wave surfer Sando. Together they form an odd but elite trio. The grown man initiates the boys into a kind of Spartan ethos, a regimen of risk and challenge, where they test themselves in storm swells on remote and shark-infested reefs, pushing each other to the edges of endurance, courage, and sanity. But where is all this heading? Why is their mentor’s past such forbidden territory? And what can explain his American wife’s peculiar behavior? Venturing beyond all limits—in relationships, in physical challenge, and in sexual behavior—there is a point where oblivion is the only outcome. I was discussing this book yesterday so I decided to make this my Long Lost Review this month. I read this in 2008 for uni and it wasn’t that great; the only things I remember was that it was about surfing and it was not that interesting. I guess I can add forgettable as well. 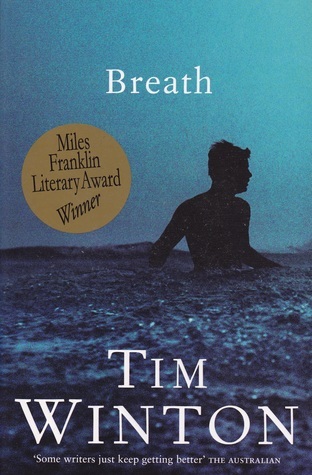 The thing with Tim Winton is if people don’t tell you they like to read Tim Winton it’s hard to recommend him. He has such a style of his own, and he’s so very much obsessed with writing about WA and in such lyrical metaphorical words that it’s not always to everyone’s taste. Though, to his credit, he can write a “literary” style book with a restraint so many others lack. You don’t quite feel like clawing your eyes out but you get bogged down in his detailed description of the dirt and the landscape and his Big Ideas. But back to the actual book. I remember it having surfing and…that’s it. Even reading the blurb has not sparked any recognition about what this is about. Again though, if you like the lyrical language and the literary tone of Winton then go for it because this has a lot of that in there. Cloudstreet was great so I am not anti any Winton, but so often most of his books are forgettable to me so it makes it a hard sell. But, the people do love him so who am I to judge? The LONGEST, most TEDIOUS 19 hours of MY LIFE. I swear somewhere around chapter thirty it never progressed no matter how many hours I listened to it. It felt like I was trapped in the thirties forever and with a book of eighty chapters this was a nightmare scenario. I am quite convinced time stopped because I listened to it almost every day and I never seemed to get anywhere. Just when I thought I think I’d listened to it for another 3 or 4 hours I was only one of two chapters ahead. In the end, I had to bring it in from the car and put it on the computer so I could get it to play at double speed. Even then it dragged on. It’s an amazing feat that a book this long could have nothing happen in it. I am not convinced it was only the fault of the audio either. I have generally enjoyed Lee’s narration, she has done every single other Moriarty book I have listened to. But from the initial chapters I knew this one felt different. It was slower, much slower than her other ones, and I couldn’t understand her decision with some of the voices she chose for the characters. Francis is one of the main characters who gets most of the perspective and I could not stand her from the very beginning. I did not like her portrayal but retrospectively I appreciate her character. She was bubbly and naïve, she was idealistic and at least she felt like a real person. It’s just that from the start I was on the wrong foot with the narration and these characters and unfortunately it never managed to recover. For having a dozen key characters I felt that maybe only a few were really fleshed out. Even if some got fewer chapters for us to get to know them, I was still able to grasp who they were as people. Some of the others who had multiple chapters gave me so little I have no real idea who they are. But I also didn’t care enough to care. I did not care about their personal journeys and while Moriarty deserves credit for the variety of characters she has included, the execution was lacking. I am trying not to just dump on this book, but after hour upon hour of waiting for something to happen I feel let down as a reader and I am disappointed because this isn’t the writing I have come to expect from Moriarty. With no plot except listening to these people and their boring lives I was desperate to grasp onto any real story at all. Where was the Moriarty’s Reveal™ that she is renowned for? Where was the intrigue and the suspense? How can such a diverse range of characters hold so little intrigue? There is a moment that Moriarty breaks the fourth wall later in the book through Francis and not only does it read like she is venting her own frustrations at her career and the writing process, it jars the flow of the narrative and it took me out of the story because it doesn’t sit right. And to be honest, by that point I was using all my effort to keep myself in the narrative. The ending was stranger and even more ridiculous than the rest of the book. I had heard the ending was amazing and while it might be the only time it got actually close to something happening, it still failed to hit the low bar I had placed on it after listening to the other 18 hours. I understand from talking to other people that this is a book that divides people. They either love it or they thought it was boring and terrible. I know people in both categories and with my history of Moriarty books I went in with an open mind. It seems though that this book is yet another of Moriarty’s that didn’t quite hit the mark with me. There aren’t enjoyable moments, there are simply moments that aren’t terrible. Sydney in the late 1950s. On the second floor of the famous F.G. Goode department store, in Ladies’ Cocktail Frocks, the women in black are girding themselves for the Christmas rush. Lisa is the new Sales Assistant (Temporary). Across the floor and beyond the arch, she is about to meet the glamorous Continental refugee, Magda, guardian of the rose-pink cave of Model Gowns. With the lightest touch and the most tender of comic instincts, Madeleine St John conjures a vanished summer of innocence. The Women in Black is a classic. This is a curious book. It was a decent read, the characters were all unique in their own way and yet have the wonderful conformity of the 1950s, and the era comes to life with St John’s words. I am caught between liking it and thinking it was just ok. Somewhere in the 2.5 star field because somehow I couldn’t give it a three. If I stopped listening I found myself forgetting I was reading it at all. There was nothing in the story to get me back into it, and yet I didn’t hate it while I read it. I wasn’t bored per se, it’s just that nothing happens. I think it was the final third or even further when something happened that I finally got into it, and even then it’s not much. I think that was more the ending coming to a head so it felt conclusive. This is a novel that is character driven, certainly more so than plot. I certainly have nothing against character driven novels, I think though that enjoyment comes from having characters that interest you so you want to read about their lives. I enjoyed Magda, and Lisa was endearing, but so few others piqued my interest. I felt two or three of these women took centre stage and felt more real than others which may have had something to do with it. I did love the writing style. St John’s words are elegant and natural without being formal or unnecessarily complicated. The language puts you into this era and it separates the characters from one another with ease, almost so you don’t even notice it. This is emphasised by Rubenstein’s narration. Her use of voices and tone brought this story to life and highlighted St John’s beautiful words. There is slight humour but not enough to be a distraction, and the conversations are often humorous simply for their stark contrasts to modern times. This language was also why I enjoyed the ending. St John concludes this novel with style and it was a seamless ending that suited the characters she had created. 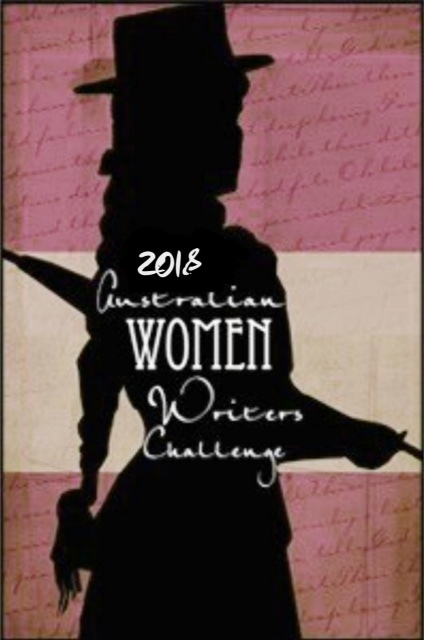 There was a heartfelt sentimentality that gave extra meaning to all that had come before it, all through the characters she uses to bring this story together. Oddly enough, I also found the obituary at the end of my audiobook quite enjoyable. I enjoyed listening about St John and her life from someone who knew her. It was interesting too because I learnt that the book was actually published in 1993. I was impressed because St John captures the language and the feel of the 50s remarkably well. It didn’t feel forced or over the top and there was class and charm in her words that she managed to recreate the era remarkably well. 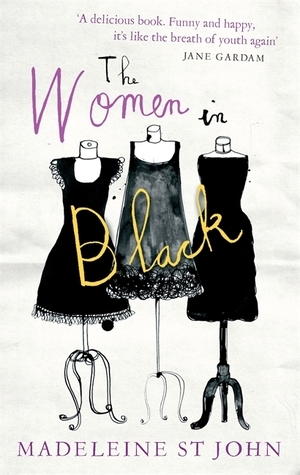 I will be interested in the movie now (retitled Ladies in Black) because I would like to see how they portray this, if not for the story, but to see these wonderful cocktail frocks for myself. New to town, single mom Jane is so young that another mother mistakes her for the nanny. Jane is sad beyond her years and harbours secret doubts about her son. But why? While Madeline and Celeste soon take Jane under their wing, none of them realizes how the arrival of Jane and her inscrutable little boy will affect them all. As I’ve been making way back through Moriarty’s back catalogue I had been leaving this one until later. After being disappointed with a few of her earlier ones I had been told her later books were better. I have to admit this was a great book. I listened to it on audiobook and it really suited the format. Caroline Lee does a wonderful job bringing the characters to life and with Moriarty’s style of jumping back and forth in time and scenes it is a style suited to this kind of story. Lee is a great narrator; she makes each of the key women unique in their voices and every character’s personality shine through with her voices and inflections. She definitely captured the School Mum hierarchy and pushy parents, which added to the experience. As per Moriarty style, we begin with a mystery. Something has happened and we’re not going to be told what until 3/4 of the way through. I have grown to like this style of hers, especially when she does it well and succinctly. This, like Truly Madly Guilty, benefited from this because there are a host of characters to introduce and explore. In that case this drawn out mystery is beneficial and never feels like it drags on. There are numerous clues and possibilities as to what it is that has happened and who it is that had been affected. But it’s not just this Event that is mysterious; Moriarty weaves numerous seemingly innocent events together to create a plot filled with secrets, gossip, rumours, and schoolyard politics that snowball into a dramatic and destructive force. Numerous clues are given and enough details are provided about the three main women that you can easily convince yourself that The Event is about each of them, keeping you on your toes as to who will be affected. 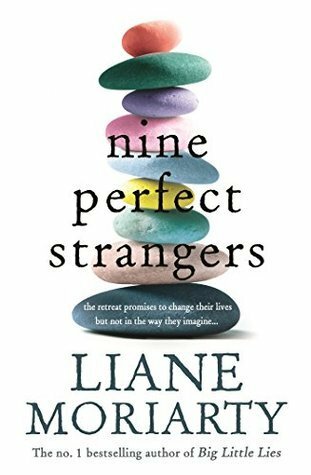 I loved the mixture of the interviews and the different perspectives and I loved the variety of school mums and their relationships. There are so many complicated things happening that you really are not sure which way the story could go. When the reveal comes it is divine, and then it morphs into something else entirely. Moriarty has finally mastered a good reveal that actually means something and changes everything. My suspicions were confirmed, but I was also pleasantly surprised. Something I haven’t really had with a Moriarty book before.